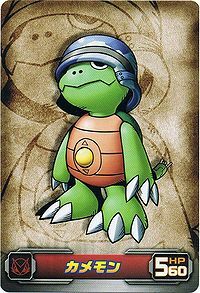 A Cyborg Digimon with a shell like a mouse. 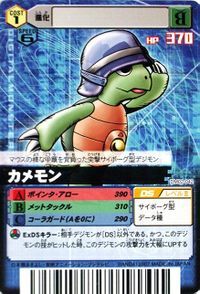 Its Special Moves are an arrow-shaped missile that it is able to guide until it hits the opponent (Pointer Arrow), and rolling the ball in its abdomen to charge, and then assaulting with the helmet on its head ('met Tackle). Also, it has the "Koura Guard" ability that allows it to store its whole body in its shell and reflect the opponent's attacks back unchanged. 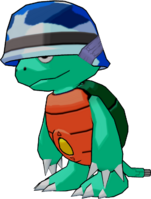 By the way, its helmet cannot be stored away. 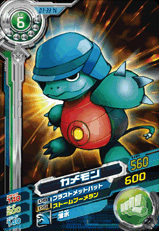 A Digimon that can fight and take photographs! 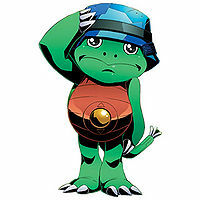 A Cyborg Digimon with a shell like a mouse, who Taiki and his friends met in the Island Zone. Although its body is small, its heated emotions of wanting to protect its comrades can't be lost to anybody. 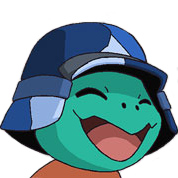 For difficult underwater battles, it digixroses with Shoutmon X2 to "Shoutmon X2 Plus", which is able to breathe while underwater. As with a digital camera, it is able to take pictures. 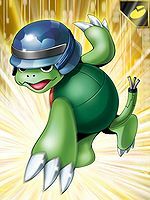 n., Kame (亀) means turtle. 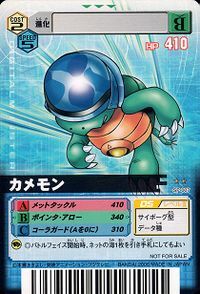 メットタックル Metto Takkuru Torto-Tackle/Met Tackle/'met Tackle Charges by rolling on the ball in its abdomen and then strikes with the helmet on its head. ポインタ・アロー Pointa Arō Armored Arrow/Pointer Arrow Launches an arrow-shaped guided missile from a hatch on its back. 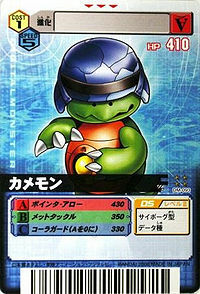 Koura Attack  Shell Attack コーラアタック Kōra Atakku Shell Attack Headbutts an enemy with its helmet. 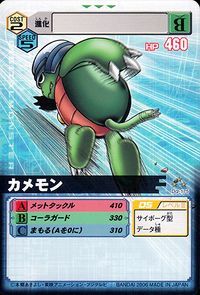 Bounces back the opponent's attacks while its body is tucked inside its shell. 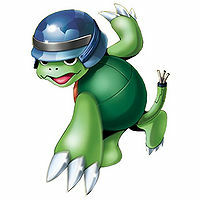 Kamemon is the partner of Yushima Hiroshi. He appears as a sort of butler to DATS agents and often provides tea for agents who are working in the DATS headquarters. 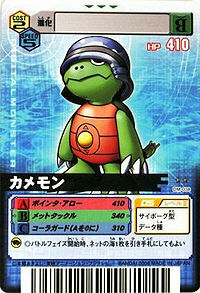 Chibi Kamemon is a member of Xros Heart. 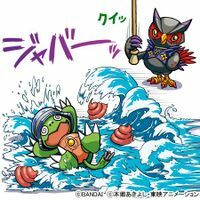 The same Chibi Kamemon that was part of Xros Heart one year ago returns as part of Kudou Taiki's Collection, first used in episode 73 to allow Akashi Tagiru to get back to the shore quickly, then was used in a DigiXros with Shoutmon to give him better swimming abilities. Can be evolved from Poyomon if above level 22 and Water EXP above 1000, or can be found at Mangrove Forest. 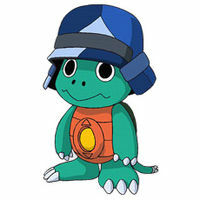 He can evolve to Gawappamon if above level 32 and Water EXP above 3000. 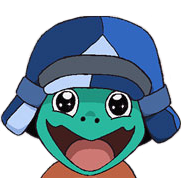 An NPC of Kamemon can be found near the DigiArena in DigiCentral. 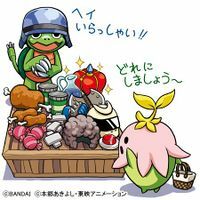 Kamemon is the partner of Yushima Hiroshi. After defeat his evolution forms, he will be unlocked to play. 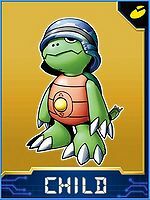 Kamemon is an obtainable Digimon which is evolved from Koromon or Wanyamon, and can evolve to Guardromon, Kabuterimon, Seadramon, or Tailmon. It can also be obtained as a collectible card. 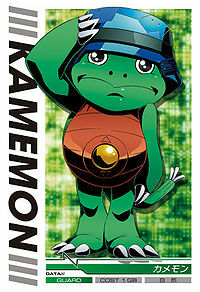 Kamemon is available as a Digimon Medal. 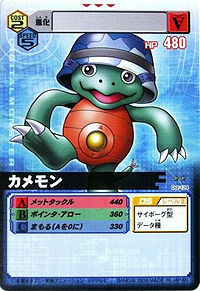 Kamemon is available as a Digimon Card. Evolves from Koromon, Pinamon, or Wanyamon. Can evolve to Gaogamon, Gawappamon, Geo Greymon, Karatuki Numemon, Peckmon, or Reppamon. 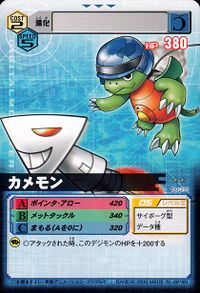 Can also Burst Evolve into Knight Chessmon (White) or Gawappamon, or Full Burst Evolve into Shawujinmon. 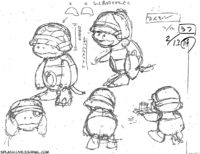 A Cyborg Digimon that charges with the mouse-like shell carried on its back. 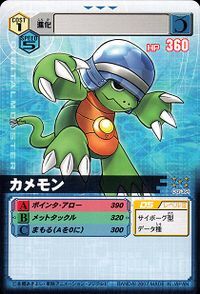 A shy Digimon that wears a helmet completely covering its head. It doesn't talk much in front of other people. 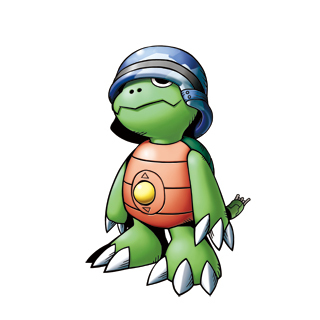 A Digimon that carries a mouse-shaped shell and has a trackball embedded in its abdomen. It exhibits heightened defense by tucking its entire body into its shell; however, its helmet cannot be tucked in. 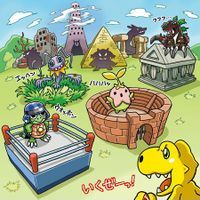 ↑ Digimon Xros Wars: "Island Zone, An Upheaval!" This page was last modified on 16 December 2018, at 22:33.